For avid skiers and snowboarders, a trip to Tokyo is often nothing more than a convenient, yet interesting stop-over point while en-route to the Japanese snow fields. But for the young at heart, a visit to Tokyo presents a great opportunity to visit many of its other attractions, including the most famous theme park of all, DISNEYLAND. At just over 10 hours from Sydney and 15 hours from Perth, Tokyo Disneyland is a lot closer than its sister resort in Anaheim California (the birthplace of Disneyland). At 51 hectares and with 43 attractions, Disneyland Tokyo is enormous. Don’t try and do it in anything less than a day, as you’ll just leave disappointed. For me, the most striking feature (and therefore my strongest memory) was the attention to detail. Everything is immaculate – from the gardens, to the paint on the walls, to the architecture (wow, the architecture just amazing). On top of all that, the rides, parades, the attractions and the sheer fun of it all were just a bonus. In the centre of the park stands a statue of Disney’s creator, Walt Disney. In the words of Walt, Disneyland is a ‘happy place – a place where adults and children can experience together some of the wonders of life, of adventure and feel better because of it’. While staring at his statue, I couldn’t help but think he’d be enormously proud of his creation, which is now lovingly maintained by his disciplined (and very well trained) staff. If you’re thinking of taking your family to Tokyo Disney this year, either prior to or on the back of your ski trip, do it – you won’t be disappointed. Below is a review compiled by my better half, Rachael, who as a second time visitor (first time Anaheim) and mother, can offer a unique perspective. When I was a child I was fortunate enough to visit the birthplace of Disneyland, in Anaheim California. I’d always dreamt of taking my children, aged 6 and 8 to Disneyland, but at 20 hours from Perth a trip to California seemed…well, seemed a ‘long way’. So, imagine my joy when I found out we were going to Tokyo and realised it presented an opportunity to visit Disneyland. Before visiting Tokyo’s version, I was a little concerned it might be an inferior, or a ‘B’ grade cousin to its counterpart in California. However, upon visiting I discovered that nothing could be further from the truth. Tokyo Disneyland is a near duplicate of Anaheim: the rides are the same, the parades are the same, the buildings are the same, as is nearly everything else. It is, however, just that little bit ‘quirkier’ given it is staffed by Japanese, whom bring a friendly, colourful and excitable personality to the attractions (check out this video for instance!). Tokyo Disney consists of two resorts, Disneyland and DisneySea. You really need two days to explore them both and because we only had a day before we flew out, we chose to visit Disneyland, the original of the franchise. Tokyo Disneyland is just a short 25-30 minute train ride from Tokyo station to Maihama, an area just to the west of Tokyo on the shores of Tokyo bay. We set out early in the morning from our hotel in Shinagawa and caught a connecting train to Tokyo central. Tokyo station is enormous. We actually underestimated our total travel time because we didn’t take into account the 20 minute walk across Tokyo train station to the platform for the connecting train to Tokyo Disneyland. Otherwise the journey from Tokyo to Maihama is literally 25min from platform to platform. Navigating the stations was straightforward as the signs have English translations (a big bonus). Exiting the Maihama Station at Tokyo Disneyland there was a huge sign that showed us that DisneySea was to the left and Disneyland to the right. Crossing the walk bridge we could see the official Disney themed hotels, the Disneyland Bus (with Mickey Mouse windows) and the Disneyland Monorail (which takes guests from the hotels to the parks). On entering Disneyland I was delighted to see all the familiar Disney icons – characters, architecture, rides, gift-shops and landscaping. A Disney theme park is really an enormous stage where a “show” is presented everyday in each of the themed lands. Because of this, the staff are called ‘cast members’ Cast members are incredibly well trained and disciplined, right down to the way they wave at guests (fingers apart, just like Mickey – only with five fingers per hand), the way they wear their hair, and even to the length of their finger nails. I found myself marveling at the design of Cinderella’s castle with multiple turrets and the lopsided engineering of the buildings in ‘Toontown’. Disney has gone to a huge amount of trouble (and no doubt expense) to create a proper fantasy world. The rail is also impressive, and the fact they have gone for real steam trains (when they could have used electric) is further proof of their commitment to the dream. Some of the rides are more appropriate for kids than others. While both children loved Big Thunder Mountain, the Inspector Gadget Go-Coaster, the Spinning Cups and the Jungle Cruise, our 6 year old found Space Mountain a bit scary. We particularly loved Big Thunder Mountain and it was such a pleasure whooping and laughing with along with the kids as we bolted around the tracks, ducking and weaving as we entered caves and flew over bumps and rollers. As a family we agreed that our favourite rides were the Western River Railway; Jungle Cruise; Big Thunder Mountain; Space Mountain (a high-speed rollercoaster in the dark); Swiss Family Robinson Treehouse; Chip and Dales Treehouse; Inspector Gadgets Go Coaster; Alice’s Tea Party (Spinning Teacups) and Cinderella’s castle (the attention to detail in the castle is amazing). A great tip for avoiding the queues is to grab yourself a “Fast Pass”. The pass gets you access to the express line of the more popular rides. But you can only access one quick pass at a time. Printed on the quick pass is the time you are eligible to book the next quick pass. This obviously helps with crowd flow, and in my experience is something Disney does very well. We ate lunch and dinner at two of the large themed eateries, where the kids and dad indulged in the American hotdog plate and later than night, Space Port Pizza. I found the food was quite processed at most of the eating places but of course the kids loved it. This was a bit of a theme across the resort actually: heavily processed American inspired foods, hotdogs, fries, pizzas, popcorn. I understand its all part of the experience, but if you are not into that kind of stuff, then I suggest you take something relatively healthy along with you. Also take plenty of water as the size of the park means lots of walking and thirsty children. By the time we walked out of the Park at the end of the day we were all very tired and it was getting cold so we decided to catch a taxi back to hotel instead of the train. Considering our overtired kids, this was a great decision. In all, we had a great time. And as a once in a lifetime experience, the entry price (Y7,400 per adult, Y6,400 for children 12-17 and Y4,800 for children 4-11) was truly worth it. I know the kids had a great time as did my husband, even when he had to carry the children the last kilometer to the taxi after they were too exhausted to walk. One other tip is take lots of warm clothing. If like us you visited toward the end of winter, the weather during the day was nice (maybe +15 degrees), but when the sun went down it became very cold, very quickly. If you have any comments of questions please feel free to post below. ‘Hans was a greatly loved member of the Mt Buller community, and respected throughout the ski and wider tourism industry. He had a reputation as an impeccable host, an astute businessman, as well as being the life of any party’. Image and text supplied by Mt Buller. This weekend latest antarctic blast has left our Aussie resorts blanketed in a thick layer of fresh snow. From Mt Buller in Victoria to Thredbo in NSW, conditions this weekend are expected to be some of the best in recent years. In fact, today’s snowfalls are predicted to take snow depths past 2 m – and that mean snows to Christmas, prompting Hotham and Perisher to extend their snow seasons into October. Mt Buller’s Rhylla Morgan, reported this morning that skiers and boarders are reveling in the excellent conditions right across the mountain open. 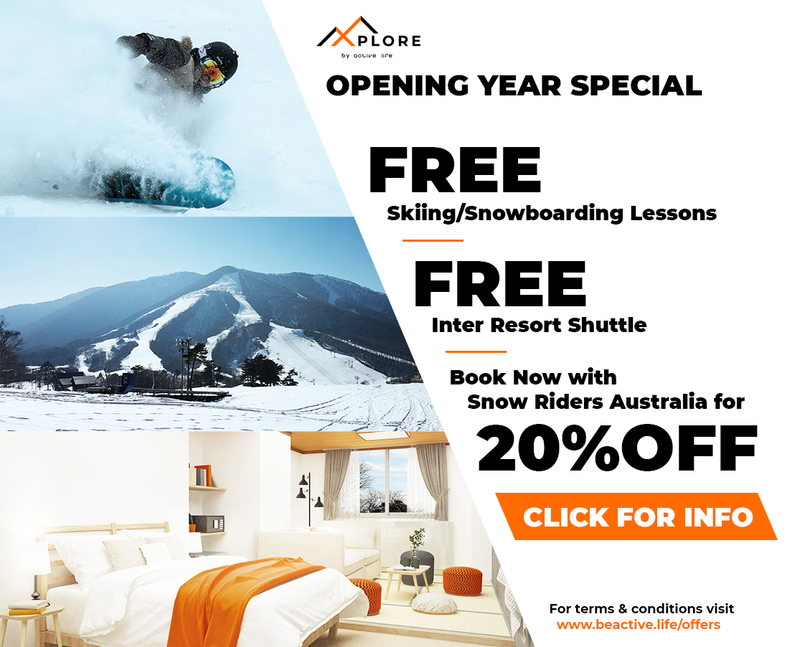 “With well over 1 and half metres of cover and now fresh snow landing, it’s a great day to be out on skis today,” said General Manager of Buller Ski Lifts Laurie Blampied. Mt Buller will remain open for skiing and boarding until the end of the October school holidays and the excellent snow cover is boosting confidence in school holiday bookings. Conditions are similar at Thredbo in NSW. A solid snow bearing weather system rolled across the Snowy Mountains over night delivering 25 cms of fresh snow to Thredbo Resort this morning. Snow is continuing to fall this afternoon to the village levels with up to 40 cm expected in the next 24 hrs. The mountain and the village are looking exceptional in white. “We were expecting the snow to fall but the intensity was surprising, it was consistent and heavy for most of the morning and into the afternoon. 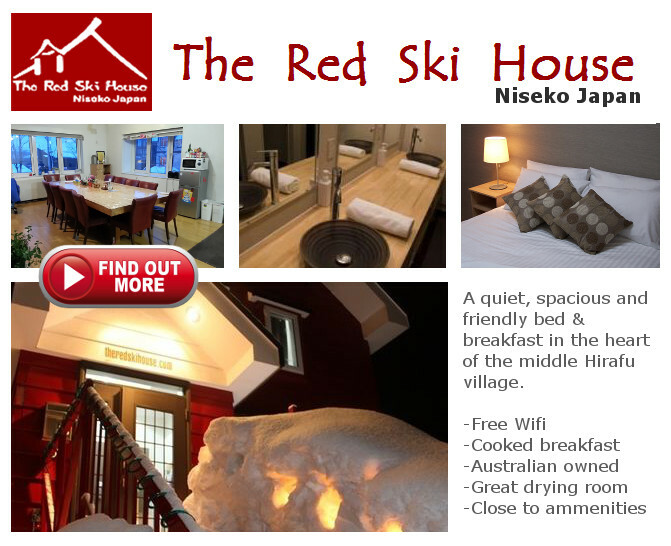 This really is the giving season, it just keep delivering the goods” said Susie Diver Thredbo Communications Manager. The 2018 season is shaping up to be one of the best for a while with the Snowy Hydro snow depth eclipsing the 2 m mark this week, giving us the best snow tally at this time of the year since 2004. All images courtesy Thredbo and Mt Buller. Charlotte Pass Snow Resort Pty Ltd (CPSR) today announced a 10 million-dollar, 10 Year Capital Investment program for the resort. This unprecedented investment at Charlotte Pass will see an increase in lifting capacity and the expansion of accessible terrain, through the installation of a brand-new Surface Lift towards Mount Stilwell and the replacement of the Basin Poma with a new surface lift. • The Charlotte Pass Snow season will operate from the June to October long weekend each year (subject to snow conditions). • Installation of new surface lift towards Mount Stilwell, with associated underground power and communication cabling as required. • Replacement of automated Programmable Logic Controllers used in connection with the operation of the Sewerage Treatment Plant (STP). o Expanded space for further development of Children’s Snowsports programs. o New ‘Day Lodge’ venue. • Development of Conference & Function Facilities, with construction of multifunction facilities at rear of the Kosciuszko Chalet Hotel to facilitate functions and conferences of various sizes. 15cms of snow landed at Mt Buller early this morning to the delight of skiers, snowboarders and snowplayers who were out early revelling in the fresh and powdery snow conditions. There is a fresh and very good cover in resort which is perfect timing for one of the most popular weekends on the winter calendar. The resort hosts the thrilling Burton Cattleman’s Rail Jam event on Saturday and with Twilight Sessions this weekend skiers and snowplayers can enjoy extra time on the snow until late under lights. Mt Buller recommends visitors this weekend book their resort entry online the day before and arrive early as it will be a popular weekend. Follow up snow showers are expected to continue into next week. The snow is back in the mountains this week with Thredbo and Perisher reporting 30 and 20 cm of fresh, light snow, respectively. After a week of variable weather, everyone is excited to welcome back true wintery conditions, as a blustery cold front moved through the region bringing solid snowfalls and very cold temperatures, at 5 below zero. Perisher presently has 46 lifts turning giving guests plenty of terrain to explore across Perisher, Blue Cow, Smiggin Holes and Guthega. Thredbo is also going off with some of the best conditions of the season so far. Today, excited skiers and boarders lined up early to get into the fresh snow and they were rewarded with fresh tracks both on and off the piste. The snow is set to clear tomorrow to a mostly fine week, with conditions again perfect for more snowmaking. All images courtesy of Thredbo and Perisher. Hopefully some of you out there have managed to get up to the mountains this weekend. Perisher wrote to us yesterday to advise that they have now opened all four resort areas, after Guthega made its season debut on Saturday. Last week saw 82cm of snow fall which set up the resort to open a large amount of terrain. Mother nature has been very kind this year allowing most resorts to open a wide range of terrain; the most they’ve been able to open this early in the season for 18 years. In fact, yesterday saw 33 lifts spinning across the Perisher with links between Perisher, Blue Cow and Guthega allowing skiers and snowboarders to move freely between the mind-boggling amount of terrain on offer. Excellent skiing and snowboarding conditions prevail this weekend and the consistent clear sunny days and cold evenings have allowed the snowmaking teams to pump out snow night after night. What a great start to the season. Let’s hope it continues. Send us your images and stories if you’re lucky enough to be in the mountains.